Book your birthday party at Planet Fun! Birthday parties are required to pay a $50.00 Room Deposit at the time the party is scheduled. Party will be cancelled if more than 30 minutes late, which will forfeit the deposit. 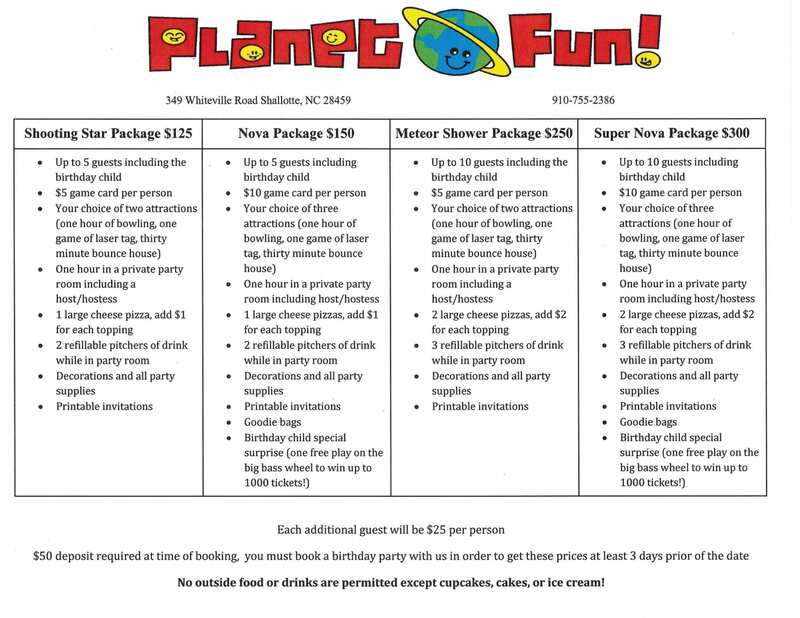 Download the official Planet Fun party invitation here.